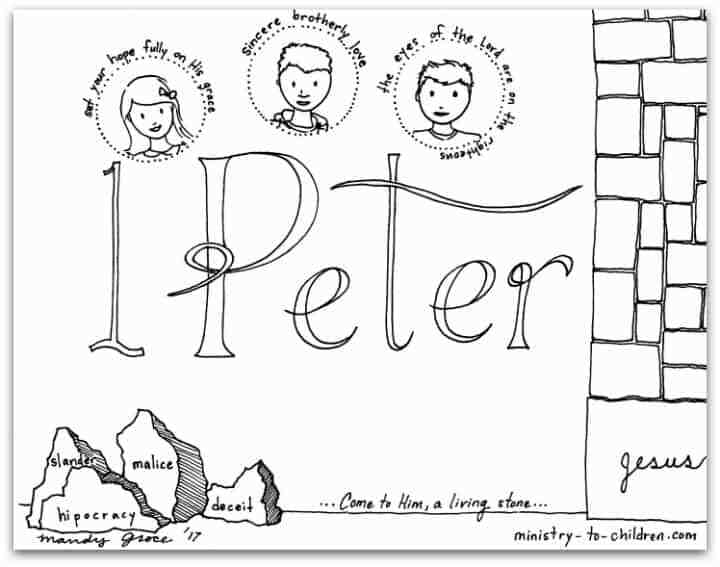 This free coloring page is based on the Book of 1 Peter. It’s one part of our series of illustrations for each individual book of the Bible. Click here to download the print friendly PDF version. We’ve also uploaded the image in JPEG format. The illustration captures the theme from 1 Peter. It shows Jesus as the cornerstone of a building. We will add a series index one we have several books online. For now you can follow our progress on this page. If you are teaching about the books of the Bible, don’t miss all our printable Bible coloring pages for kids. Awesome! Thank you- can’t wait until the rest are finished! Tony Kummer (Editor) reviewed & updated this page on : March 15, 2019 at 10:16 pm. All our content is peer reviewed by our readers, simply leave a comment on any post suggest an update.